6. 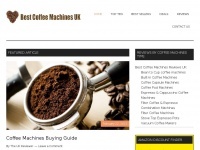 Coffee Machi­nes Bu­ying Gui­de /coffee-machi­ne-buying-advice/coffee-mac..
7. Lea­ve a Com­ment /coffee-machi­ne-buying-advice/coffee-mac..
8. 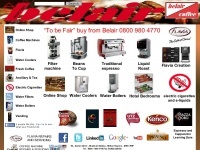 Best Coffee Machi­nes Re­views UK /cate­gory/best-coffee-machi­nes-re­views-u..
9. DeLonghi BCO410 Front Loa­ding 15-Bar Com­bi Coffee Machi­ne /best-coffee-machi­nes-re­views-uk/espress..
Breadmakerreviews.co.uk - The Best Bread­ma­kers of 2016 in­de­pen­dently revie­wed - ..
Directdrinks.co.uk - Coffee machi­ne espres­so machi­ne ba­rista trai­ning from ..